Web hosting built for mission-critical websites and apps. MDC IT Hosting offers you over 15 years of experience and expertise behind your website to make sure it's mightly available, hightly reliable and always fast-blazing fast. Our servers our housed in one of the world's best data centers that features state of the art security, power, safety, and cooling systems - all designed to ensure that service remains uninterrupted. Sites hosted with MDC IT Solutions are accessible via a fully meshed and redundant certified Cisco network, featuring 10 different fiber providers. By using this carefully selected data center, MDC IT Solutions is able to offer the best possible managed hosting service available, making downtime virtually a thing of the past. We have different hosting packages available, and can even tailor make a package to meet your exact needs. World Renowned Technical and Customer Support. We don't offer unlimited bandwidth because there is no such thing. Server, and Network infrastructure all have limits of what they can do and provide. To ensure that you get the maximum benefit and best experience from our hosting service we manage and limit bandwidth to ensure your site is never slow, and your site will always be delivered at blazing fast speeds. If your site is currently hosted with another provider and are worried about what is required to transfer to us, there is no need to worry, we will look after everything. Our transfer process is free and make the process completely transparent for your site visitors. We stand behind our service and want to make sure your happy in every way possible. If you are not happy with our service after 60 days, we will refund 100% of your hosting fees, no questions asked. 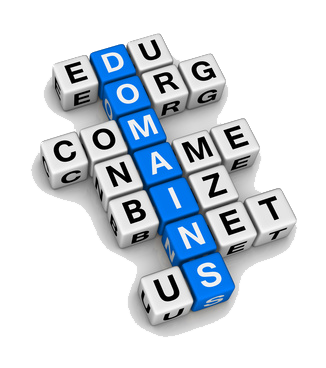 Not only do we provide hosting services, but we can register and manage any top level domain for you.